Guestroom with 2 Queen Beds. 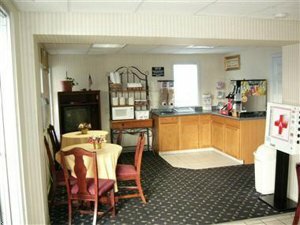 Features include High Speed Internet Access, Micro-Fridge, Cable TV w/HBO, Hairdryer, Iron, Ironing Board, Comp.Local Calls. Smoking or Non- Smoking rooms upon request. Bedding and guestroom amenities may vary, please request bed type in special request field. Requests for bed types are accepted, but not guaranteed. Guestroom with 1 King Bed. Features include High Speed Internet Access, Micro-Fridge, Coffeemaker, Cable TV w/HBO, Hairdryer, Iron, Ironing Board, Comp.Local Calls. Smoking and Non-Smoking rooms upon request.